Reed diffusers have gained huge popularity in recent years. They make wonderful gifts- part beauty, part interiors. 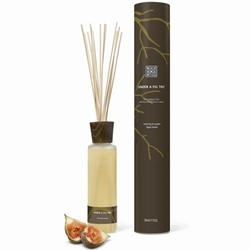 For fashionistas, look no further than the Orla Kiely Reed Diffuser, available in three scents. Choose from sage and cassis, basil and mint or fig. I like the Rituals brand, although I feel that they have some way to go in breaking into the UK market and establishing their identity. If you're yet to discover the brand, why not check out their range of reed diffusers. For green goddesses, check out the new range of reed diffusers from Neal's Yard Remedies, who have celebrated their 30th anniversary this year. The calming version is perfect for bedrooms.